Allen Datagraph Systems Partners with AstroNova, Inc.
Allen Datagraph Systems, the leader in digital short run label finishing has partnered with AstroNova,Inc, the leader in digital short run label printing, to bring North American printers, converters and brands a complete end-to-end solution at an attractive price point level. 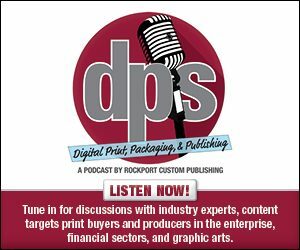 As average job sizes in the label printing industry continue to decrease year over year, converters are looking for economical ways to print small runs without tying up conventional presses or making huge capital investments. The proliferation of brands (e.g. craft breweries, cannabis producers, cottage cosmetic manufacturers) requiring late-stage customization, variable data and micro runs in a wide range of of label sizes and shapes has also increased the demand for more versatile printing and finishing systems with a shortened ROI. This new partnership enables ADSI to offer a broader line of label printers to tailor solutions for every customer’s unique requirements including the latest-generation five color toner options and die-less finishing on a wide range of pressure-sensitive paper and film materials. In addition to AstroNova’s color printers, they will continue to offer the ADSI line of digital label printers which includes the iTech Centra HS, iTech Cypher, and iTech Spectrum. ADSI’s renowned technical expertise and after-sale support will ensure that customers select the appropriate equipment for their applications and receive installation training.